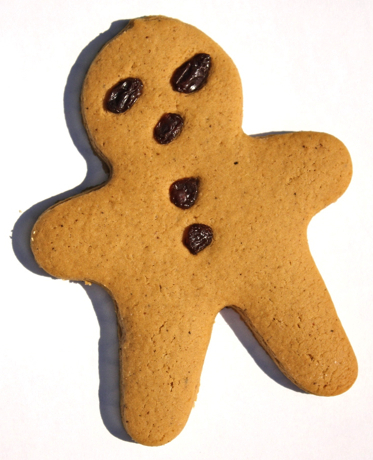 Bakery Boy (aka Joe Rada). Photo by Owen Stayner. 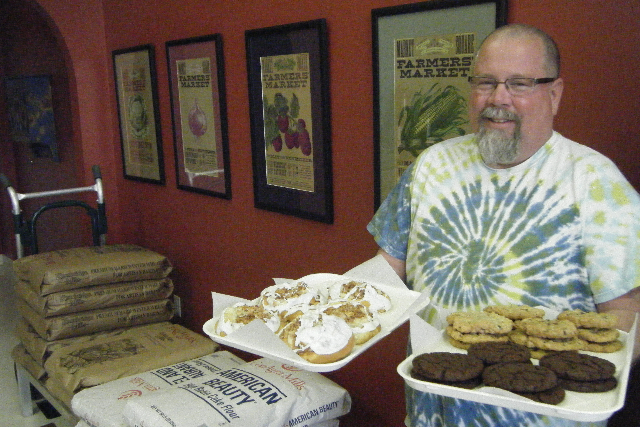 The Birmingham Weekly newspaper has published a feature story about the Bakery Boy Blog. Click here to see the story in the September 16-23, 2010, edition. 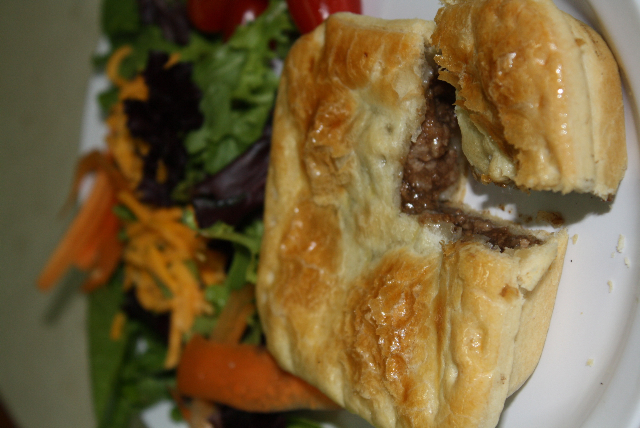 Down Under bakers put the “g’day mate” and “good on ya” into an unrivaled bakery experience, especially if you like meat pies. 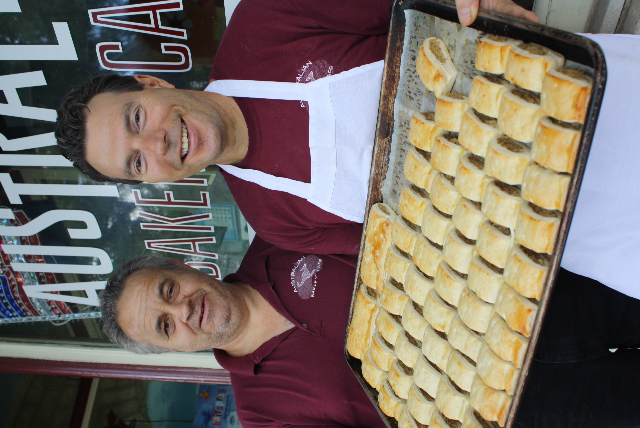 Australian bakers Mark Allen (left) & Neville Steel. Photos by Bakery Boy. You wouldn’t think to go to Georgia to hear Australian slang. Southern slang, yes, though not from quite that far south. 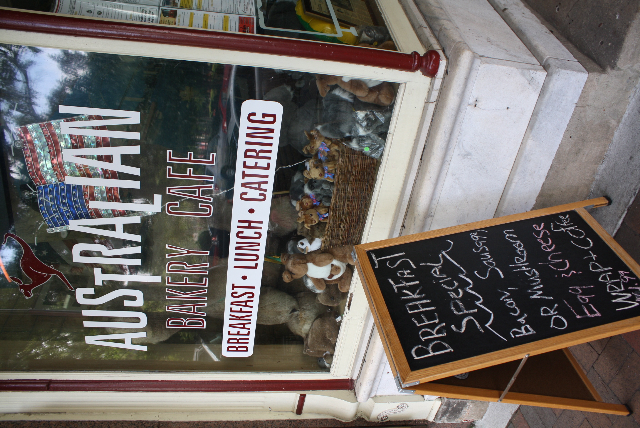 Well, say g’day mate (hello, friend) to the fair dinkum (genuine) Aussies (Australians) making dinky di (honest to goodness) Down Under specialties at the Australian Bakery Café in Marietta. 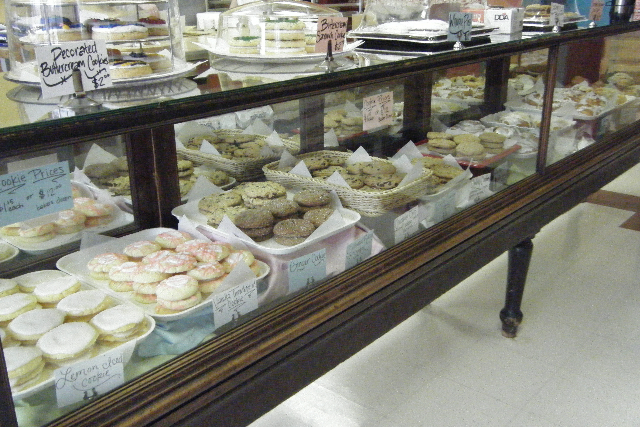 You’ll hear those phrases and more while having a cultural experience at this bakeshop northwest of Atlanta. 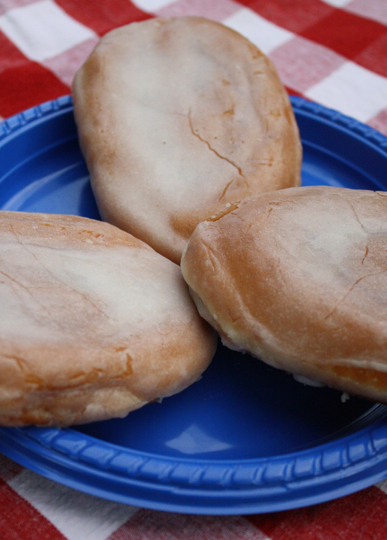 When you leave with a belly full of meat pies and a box full of more for later, you’ll be saying good on ya (thanks) and righteo (yes). 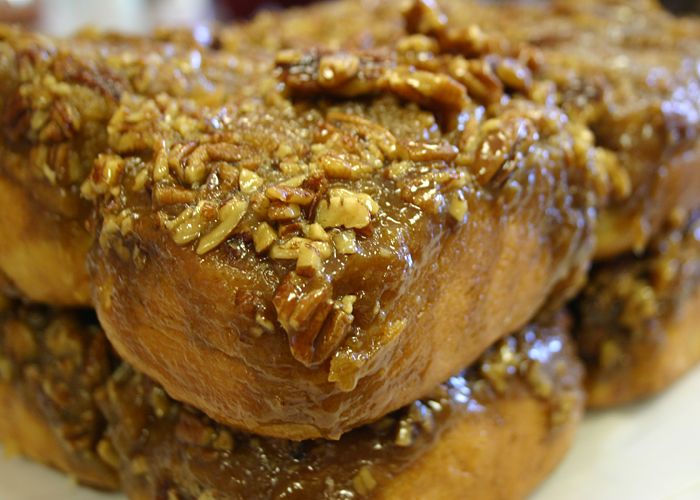 The bakery faces Marietta Square. 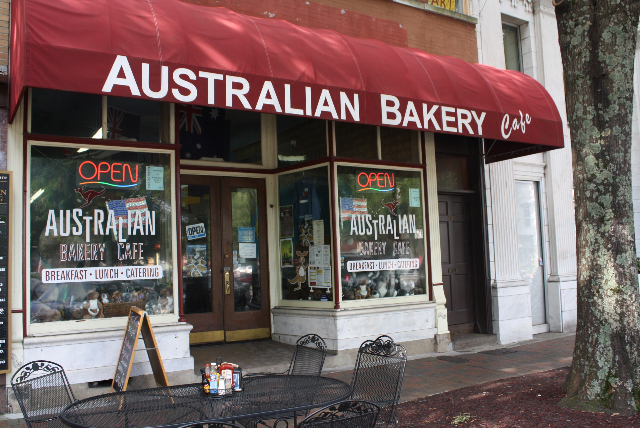 “This might be the only Australian bakery in the United States and for sure the oldest,” says Mark Allen, co-owner along with Neville Steel of the bakeshop they’ve run since 2001 facing downtown’s Marietta Square. They make a variety of sweet Australian goodies—such as crunchy oatmeal cookies they call Anzac Biscuits, walnut-laced chocolate desserts known as Hedgehog Slices, and pillow-y discs of meringue topped with strawberries and whipped cream—but they are best known for meat pies. 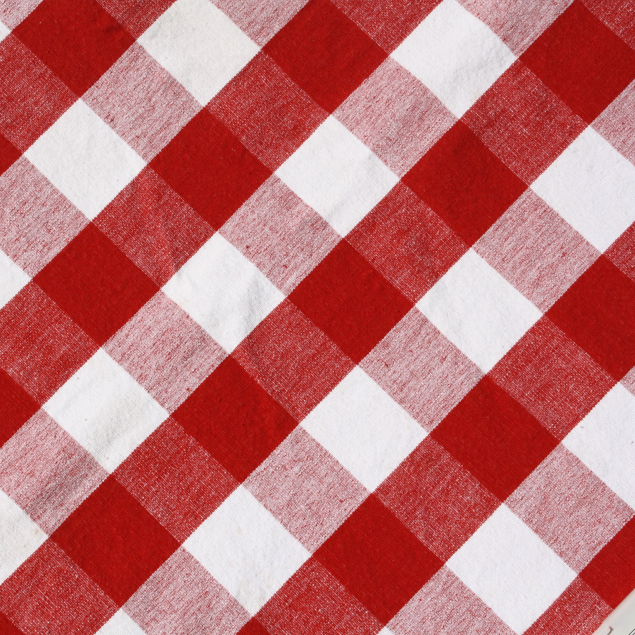 Picture a flaky, oven-browned square the length of a deck of cards and twice as thick as one. It fits in hand like a sandwich, but keep it over a plate to catch the delicious sauce that oozes out after you bite in. 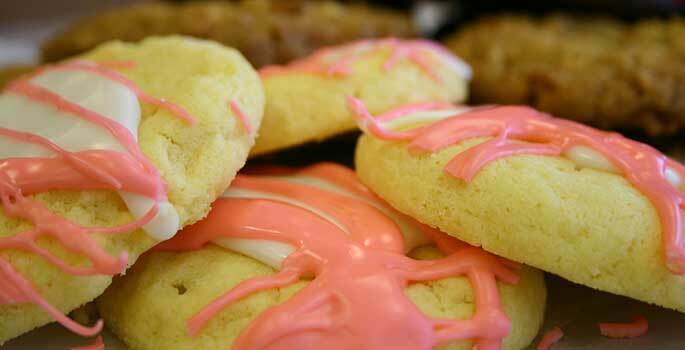 Australian Bakery Cafe makes more than two dozen varieties. 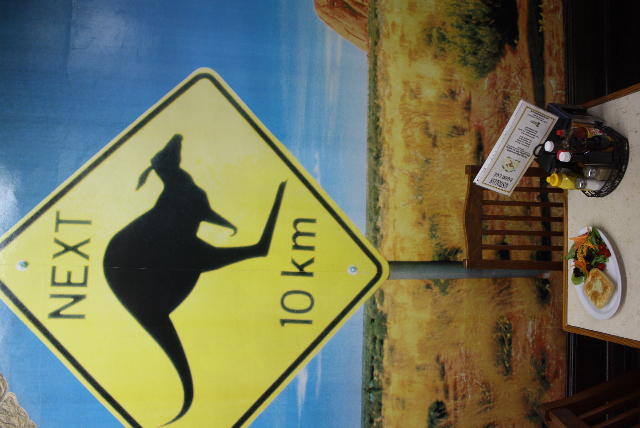 Murals , meat pies, accents—the atmosphere is 100% Australian. Down Under flags hang overhead. With so many choices, Neville and Mark created a Pie Identification Chart to remember which is which. 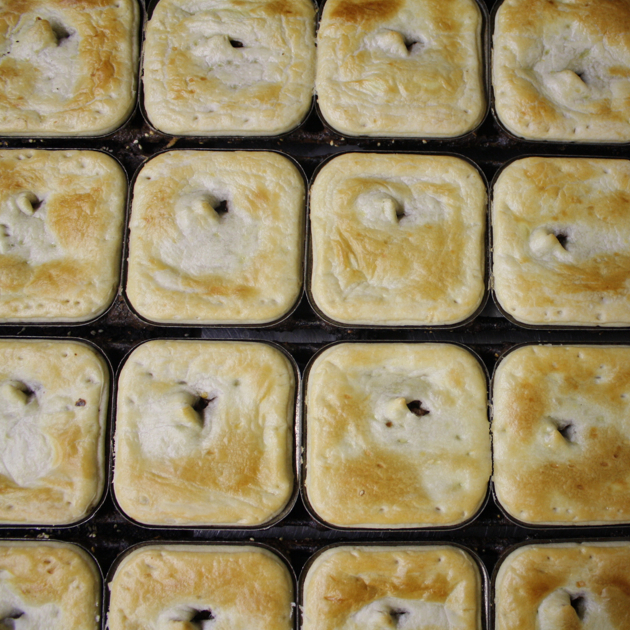 For example the basic Australian meat pie has a single hole on top, steak and kidney pie is sprinkled with black poppy seeds, buffalo-chicken pie has paprika and four holes. “Without that chart we’d just be guessing what’s inside and so would our employees,” Neville says. “Of course we’d enjoy them anyway, because they’re all good.” They make a separate line of sausage rolls, meat-filled pasties, and pork pies, which are easier to ID because they’re different shapes. Flaky crust and tasty gravy make a just-right meat pie. 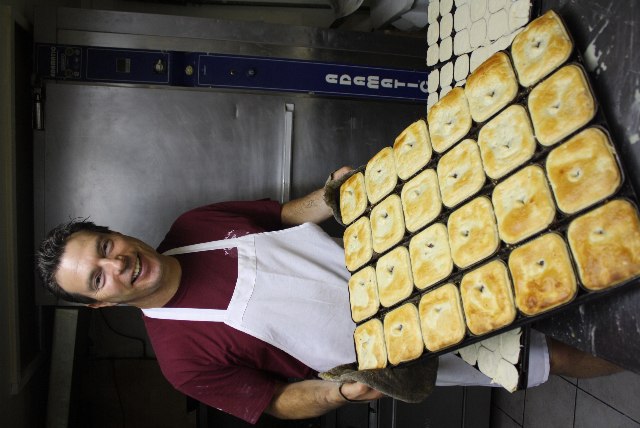 “I love experimenting with new pies,” Neville says, fitting pastry dough over hundreds in a batch. CHILDHOOD FRIENDS Neville and Mark, now 50, have known each other since preschool. 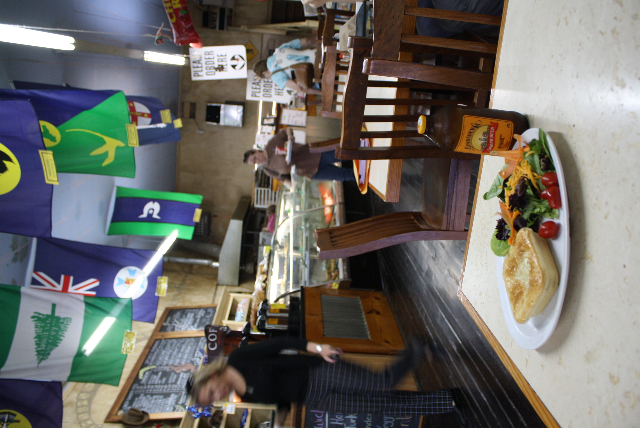 “We’re both from bakery families in the city of Boort, about 250 miles northwest of Melbourne,” Neville says. “We went our separate ways and then met up again while attending the bakery school at William Angliss Institute in Melbourne. 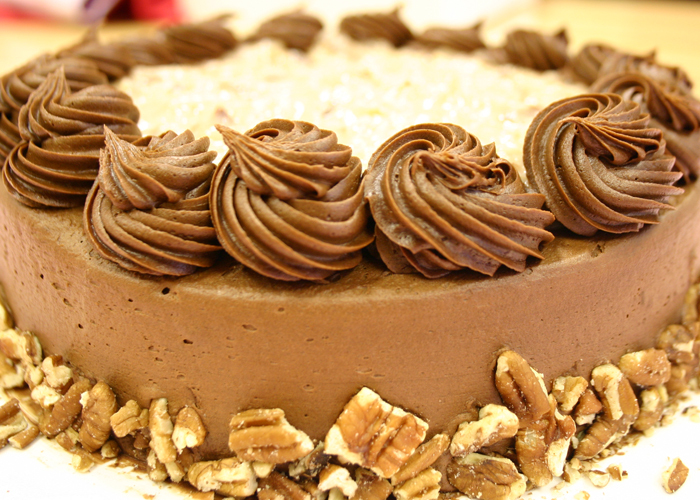 We each worked in several bakeries in Australia. 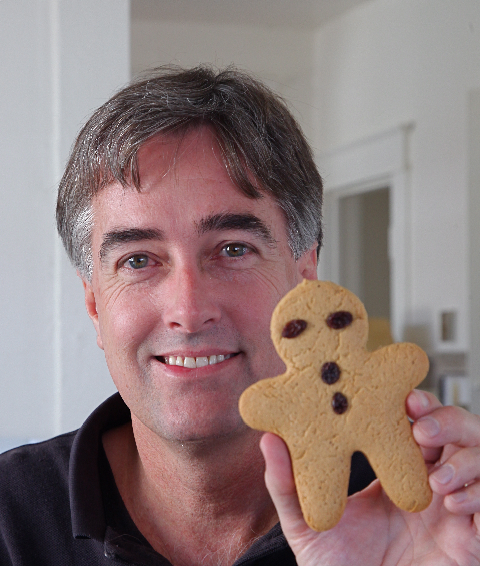 Mark moved to the States in 1991, I followed in 1999, and we opened our Marietta bakery in 2001. 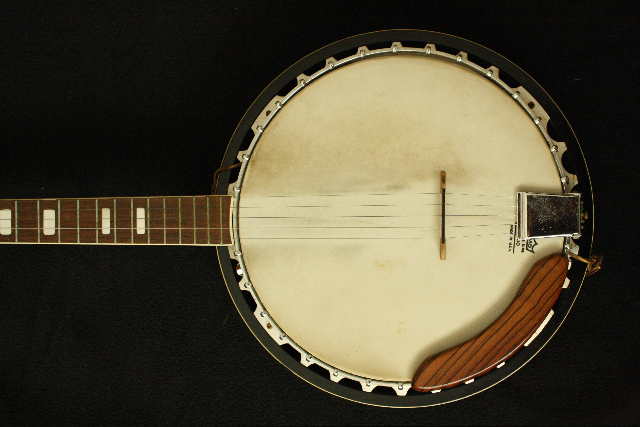 Bluegrass instruments come out for Tuesday night jams at the bakery. Australian stuffed animals for sale in the shop window include kangaroos, koalas, kookaburras, and wombats. 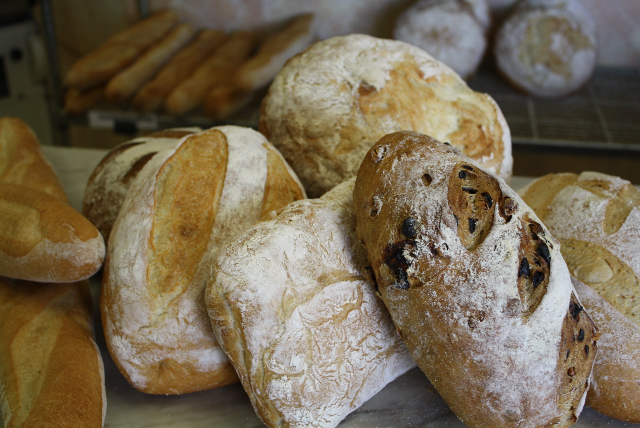 HOURS Mon-Fri 7 a.m.-5:30 p.m. (Tue ‘til 9 p.m. for Open Bluegrass Jam); Sat-Sun 8 a.m.-4 p.m.
Atlanta’s guru of good bread waxes eloquent about the taste and texture of truly worthy loaves. 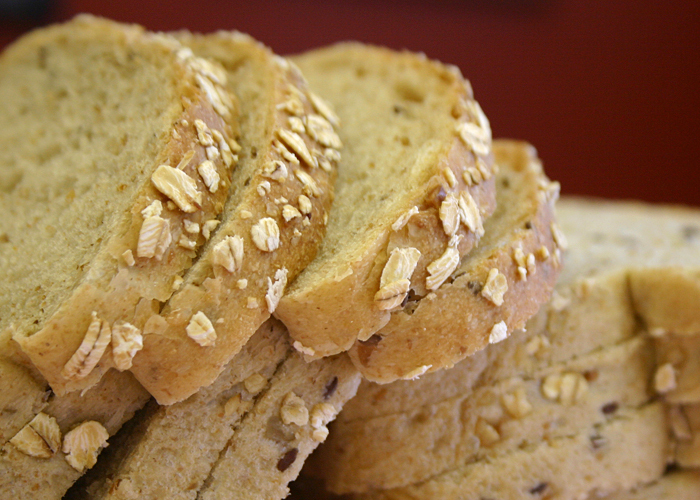 Breadgarden produces a variety of crusty, slow-rising, tasty, aromatic breads. Photos by Bakery Boy. When Catherine Krasnow starts talking about her favorite subject—baking bread—listen closely because you’re in for a treat. 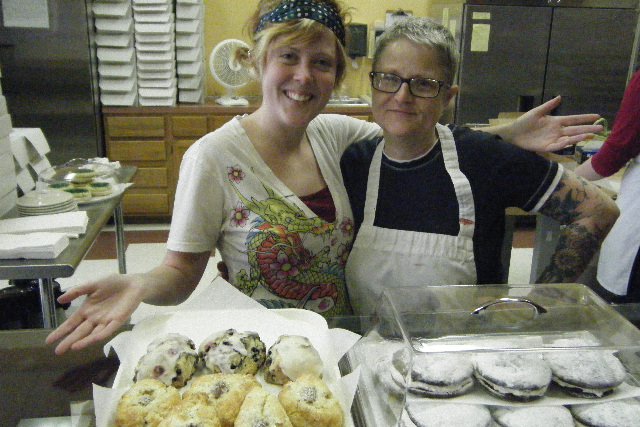 Founder and owner of Breadgarden, an artisan bakery tucked in the Virginia Highland area of Atlanta, she’s both an excellent baker and, on this topic at least, a bit of a poet. With that analogy, spoken as we sat at one of just two tables in the shop’s small retail area, she’s off and running. 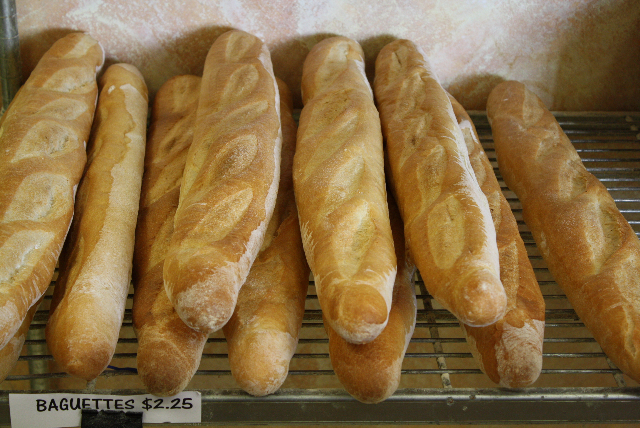 Perfect baguettes include a careful balance of crustiness on the outside and softness on the inside. Yes it is. 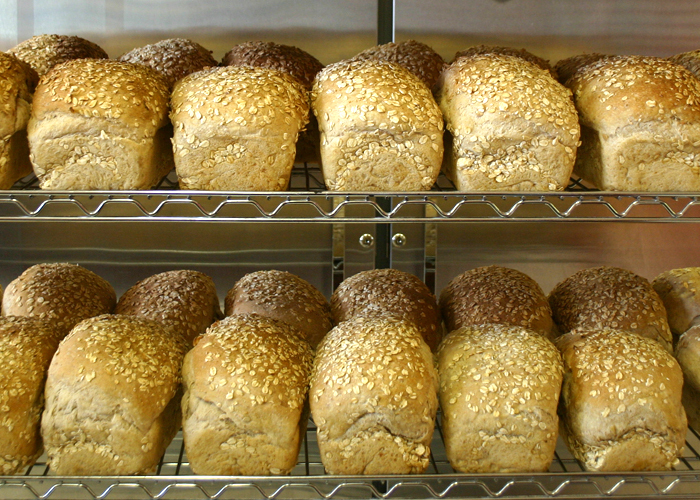 A loyal clientele claims retail loaves before they’re sold out each day, but far more of the bread goes to wholesale accounts. Breadgarden supplies such noteworthy Atlanta-area eateries as Café Lily and Watershed Restaurant in Decatur, Wisteria Restaurant in Inman Park, The Mansion on Peachtree (a boutique hotel) in Buckhead, plus other fine bistros and coffeehouses. 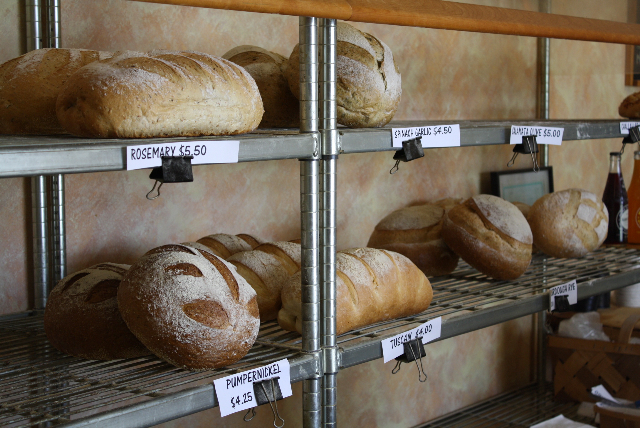 Bread shelves empty quickly due to popular demand. It's all about good bread. NON-BREAD A few non-bread items inhabit a small showcase. 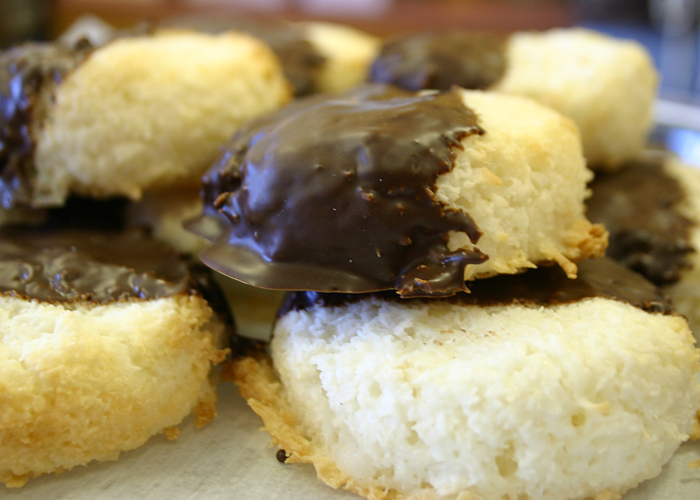 On a good day there are croissants, fruit Danish, currant scones, butter-cream-iced cupcakes, brownies, biscotti, muffins, chocolate torte, and a ham-and-three-cheeses quiche. Around mid-day you can order an Italian sub or Mediterranean vegetables-and-goat-cheese sandwich, emphasis on the bread they’re wrapped in. Sometimes a focaccia loaded with tomato, onion, feta, and herbs will make it partway through lunch hour. But these are afterthoughts. 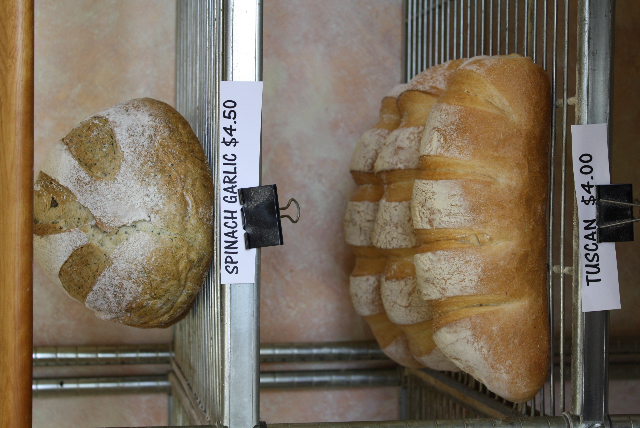 Breadgarden is primarily about bread. 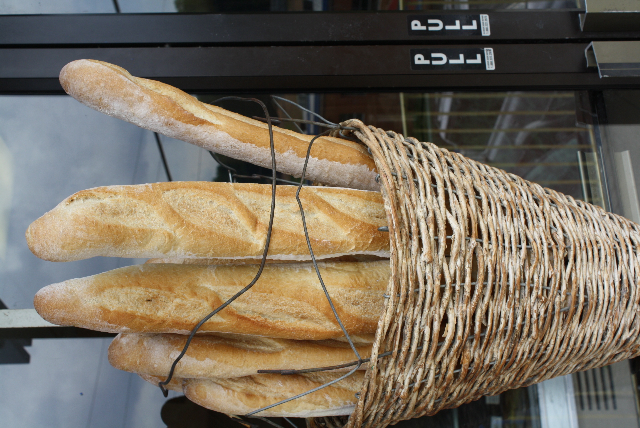 A basket of baguettes on the door welcomes Breadgarden guests. 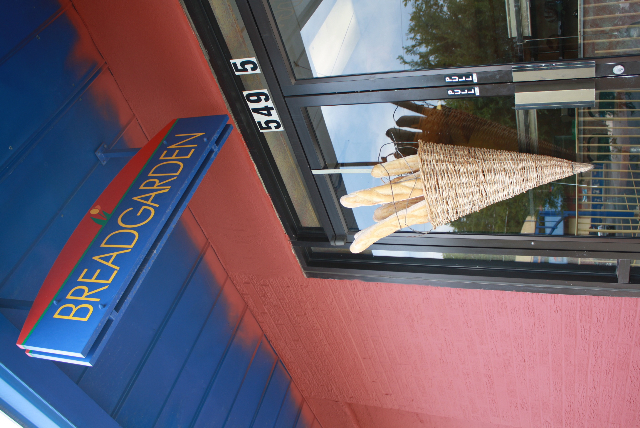 HIDDEN TREASURE Breadgarden isn’t exactly easy to find in the little Amsterdam Walk business district on the eastern edge of Atlanta’s sprawling Piedmont Park. Loyal customers originally find it by word of mouth. There’s no website. It’s not a hangout kind of shop. The utilitarian retail area encourages you to get in, choose some bread, pay up (cash only!) and go on your way. DECIDE FOR YOURSELF I was shocked and a little amused to find online reviews citing Breadgarden for rudeness and, as one critic put it, “getting a slice of crazy with your ciabatta.” Maybe it’s a matter of expectations. 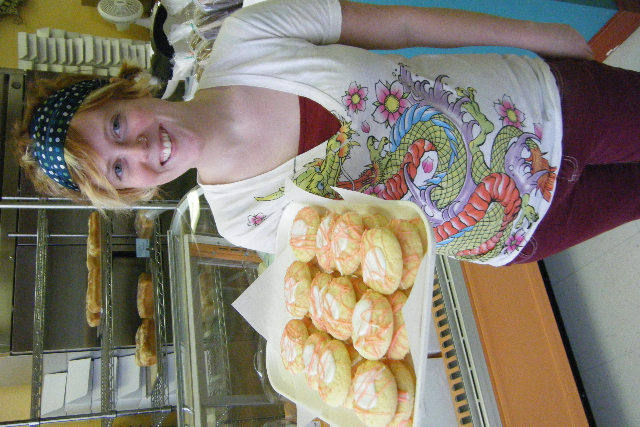 I visited many times anonymously before introducing myself as the guy from the Bakery Boy Blog, asking to interview the owner, and sharing an hour of interesting bakery talk with her. The place is clearly focused on making good bread, not on creating a stay-awhile coffeehouse atmosphere, and I’m okay with that. I’d return even if the service hit a Seinfeldian “Soup Nazi” level, because the bread is worth it. Perhaps the resident breadophiles are a tad eccentric about their chosen field, but go decide for yourself—and let the bread do the talking. LOCATION Breadgarden, 549-5 Amsterdam Avenue NE, Atlanta, GA 30306; from northbound I-75/I-85 in downtown Atlanta take Exit 248-C, go east on 10th Street past Piedmont Park, turn left on Monroe Drive, at the second traffic light turn left on Amsterdam Avenue, which ends at Amsterdam Walk with Breadgarden on the left. 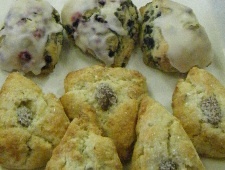 HOURS Mon-Wed 9 a.m.-4 p.m., Thu-Fri 9 a.m.-6 p.m.
INFO Breadgarden has no website. It gets plenty of business through word-of-mouth and press coverage, including this Bakery Boy Blog mention, so why bother being online? Call 404-875-1166.